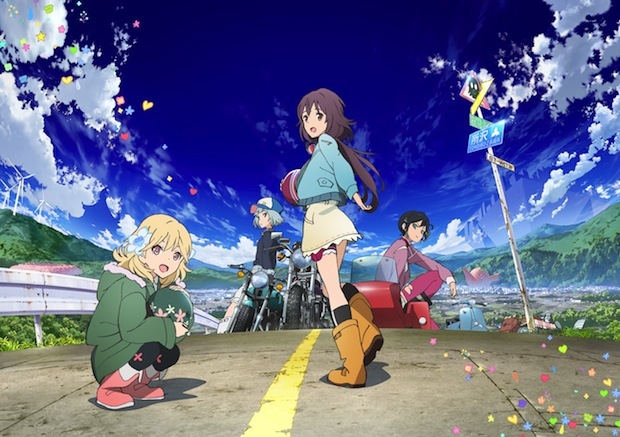 Anime Limited licenses The Rolling Girls. UK Blu-ray and DVD release set for 2016. It’s MCM Scotland Comic Con weekend and we decided we get the ball rolling a day early with the first of our announcements for the weekend. We’re delighted to announce that we (Anime Limited) have licensed the series The Rolling Girls. It’s a very timely announcement as WIT Studio’s Kotomi Deai, the Director of the series, and Hiroshi Shimizu, Mechanical Designer for the series, are in attendance at MCM Scotland Comic Con this weekend. Gun your engines and get ready for the full-throttle adventure of The Rolling Girls, the first original anime from WIT Studio, the studio that brought you Attack on Titan, HAL and Seraph Of The End! In the wake of the Great Tokyo War, Japan, as the world once knew it, no longer exists. What remains is a fragmented network of independent nations ruled by heroes known as Bests. Each Best commands an army made of the Rest as they seek to conquer anyone in their path. Enter Nozomi, Yukina, Ai, and Chiaya. These four intrepid and adorable girls are ordered by their Best to travel across the country by motorcycle, keeping a watchful eye on the field of battle wherever they encounter violence between warring nations! We can confirm the series will be receiving a UK Blu-ray and DVD release in 2016. More details on this will be forthcoming. You can watch some Japanese previews of the show below. Stay tuned over this weekend as we’ll have some more details to share with you! School-Live!, Shoukugeki no Soma(Food Wars), Prison School and Overlord next please!